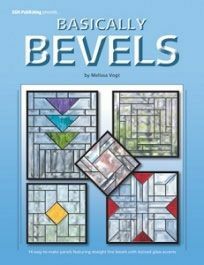 Includes patterns for 16 square and rectangular panels made almost entirely with straight line bevels. Stained glass accents add a touch of color to many of the projects. With very little glass cutting required (and all of those cuts being straight), these panels are quick and easy to assemble and complete.